Not all problems require retraining your pet. Do you know the difference between dog trainers and behaviorists? Do you know the difference between dog trainers and behaviorists? Most people think that when they are having problems with their dog, they should immediately call a professional dog trainer. Yet not all problems require retraining your pet. Often, pet owners will spend gobs of money trying to get their pups to behave in the fashion that they desire only to find out that they really should have sought the assistance of a professional canine behaviorist. Professional trainers perform an important service. Everybody wants to have a beautifully behaved pup by their side as opposed to a monster mutt that cannot behave properly. A dog trainer can help teach your pooch to be the perfect companion. Not all trainers provide the same type of service. Some train in basic manners such as sit, down, stay, come, go to your space and walk nicely on a leash. There are other canine educators who work to teach dogs not to jump, dig in the trash bin or lounge on the couch or beds. Still others perform more advanced training such as scent discrimination, protection training, complete off-leash commands or even search and rescue training. Before you contact a dog trainer, know what you expect him or her to do for you. If you are simply looking for someone to teach your doggie to sit and come called, almost any professional dog trainer can help. It’s best to thoroughly discuss your needs before entering into a training contract. This will ensure that there is a complete meeting of the minds and each person knows exactly what is expected of him or her. More and more people are beginning to seek out the help of animal behaviorists. Problematic pups can be difficult to live with, and in all honesty they aren’t very happy pooches. A skilled behaviorist can help transform your mutt from a monster into the perfect pooch. Dogs that have been experiencing emotional problems can lash out in a variety of ways. A behaviorist will first do a complete evaluation before creating a plan for helping your pet overcome his issues. You will definitely be an integral part of the transformation. Because of indiscriminant backyard breeders, puppy mills and people who breed canines for fighting purposes, behavior problems within the dog world have increased tremendously. Puppies that lacked proper socialization and human interaction when they were little tend to grow up to be unstable adults. Living with a pet that cannot be approached by anyone besides its owner must get help quickly. These puppies tend to eventually become fear biters or very aggressive. Destructive dogs can benefit from a professional behaviorist. There isn’t a pet in the world that truly wants to do things to annoy the heck out of their owners. 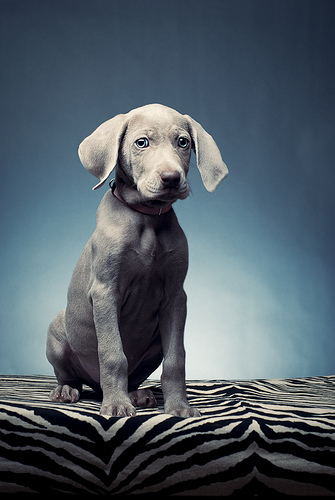 An experienced behaviorist can help you find out why your pooch is destroying your home. Most of the time, dogs become destructive because they are bored when they are left alone; however, some dogs suffer from separation anxiety and the only thing that soothes them is to chew on your things. The behaviorist will be able to make your dog realize that you will always come back home or show you how to keep your pup busy when you are away from home.